Business owners preparing for the sale of their business can take advantage of the “going concern” exemption which allows a business to be sold GST-free. The supply of a going concern requires the seller to provide all things necessary for the continued trading of the enterprise in the foreseeable future. 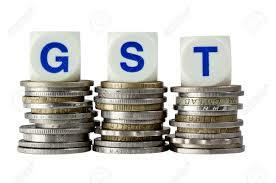 Once a business is considered to be a going concern, the sale of the business becomes exempt from GST. The reason a buyer of a going concern business would apply for the exemption is to avoid paying additional funds to cover the GST involved in the sale, therefore paying less up front for the purchase. Applying the going concern will also reduce the stamp duty payable on the sale. However, the seller faces an increased risk if the ATO does not view the sale to be a supply of a going concern for GST purposes. To prevent this some sellers may choose to include a clause in the sale contract, which requires the buyer to compensate the seller for any GST payable if the ATO does not allow the exemption.